The Republican sample of the poll, with a margin of error of 5.2 percentage points, showed Donald Trump with 31.5 percent of the vote in a GOP primary, followed by Florida senator Rubio in second place with 19.2 percent, followed by Bush at 11.3 percent, Carson at 10.3 percent and Carly Fiorina at 8.3 percent. "You're really seeing a gathering of strength by Marco Rubio, and I think he's going to have a moment to make his case," said Florida Atlantic University political-science professor Kevin Wagner, a fellow of the school's Business and Economics Initiative, which conducted the poll. "If he's doing better than Jeb in Florida, that's a good representation that his campaign is gaining momentum." 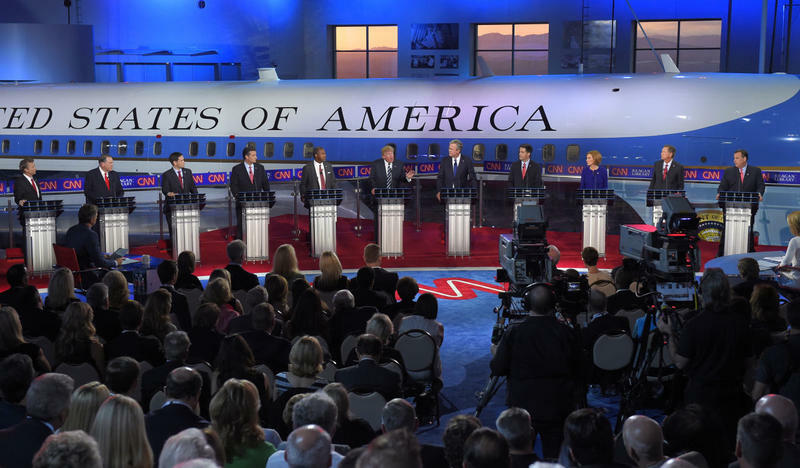 The survey of 801 likely Florida voters, with an overall margin of error of 3.4 percentage points, was conducted from Thursday to Sunday, immediately following last week's GOP debate, which nearly 80 percent of respondents said they watched. Nearly 40 percent of viewers said Fiorina won the debate. The poll of all voters also showed Trump with an unfavorable rating of nearly 60 percent. 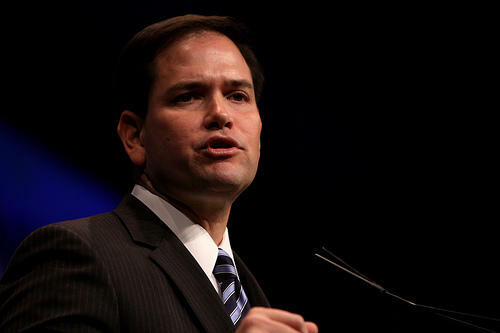 Rubio's post-debate bump could pose problems for Bush. Although Bush's "super PAC" has amassed more than $100 million since the former governor began testing the presidential waters, Rubio's increasing viability as a general-election candidate could persuade some supporters to switch their allegiance, Wagner said. "That would be a big danger," he said. 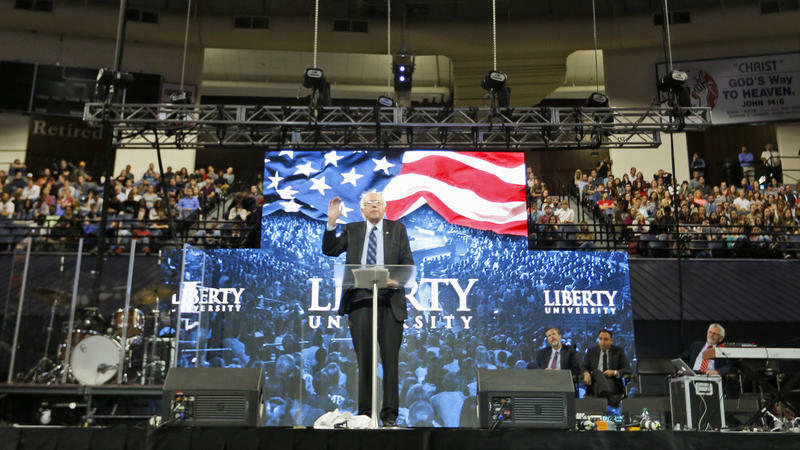 The poll also found that Clinton would win 59.5 percent of the votes in a Democratic primary, with Vice President Joe Biden --- who has not officially entered the race --- garnering 15.9 percent and Vermont Sen. Bernie Sanders receiving 15.2 percent. But Clinton, who handily defeated Barack Obama in the 2008 Florida primary but lost the nomination nationally, lags behind GOP candidates in possible match-ups. Voters favored Carson over Clinton by 51.7 percent to 39.5 percent, and Rubio over Clinton by 50.4 percent to 42.2 percent. Bush held a 49.1 percent to 40.9 percent lead over Clinton, and Trump edged out the former secretary of state by a margin of 45.9 percent to 44.5 percent. "Hillary Clinton is very strong inside the Democratic Party, but she has high negatives and she's vulnerable," Wagner said. "That's something that we wouldn't have said about her months ago. In the head-to-head match-ups, she's either very tight or losing to some of the leading Republican candidates. That's got to be of some concern to her campaign." Residents of Puerto Rico are U.S. citizens but can't vote for president. Yet Republican Marco Rubio and Democrat Hillary Rodham Clinton are campaigning there, following two other 2016 White House hopefuls. Why the journey? 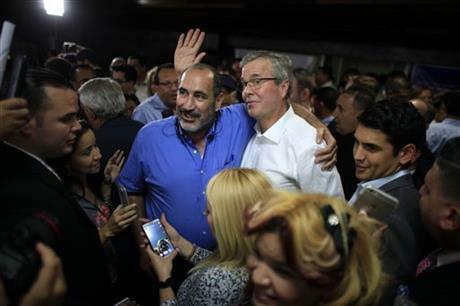 Despite its crimped political clout, Puerto Rico is seen as one path to presidential victory. Five million Puerto Ricans live on the U.S. mainland, including nearly 1 million in the key swing state of Florida, and they care about what happens back on the island.